Stay on track with an Expert Wheel Alignment Inspection. Alignment inspections can help prevent premature tire wear, help improve stability at highway speed, improve fuel efficiency and even reduce future service requirements. 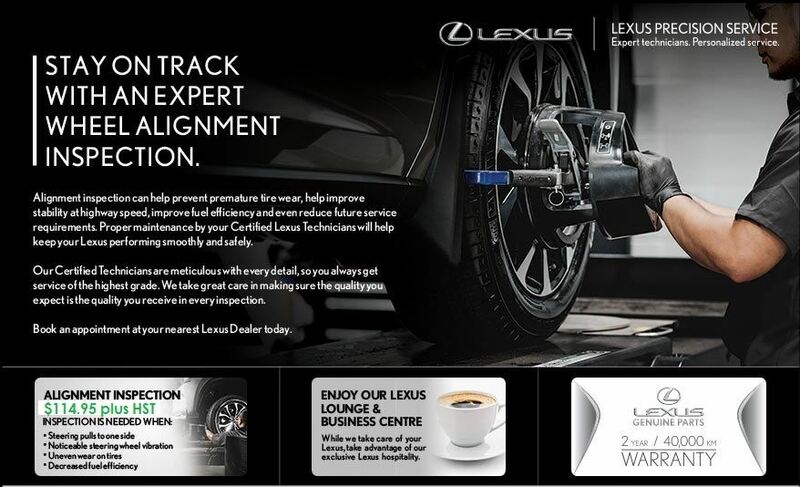 Proper maintenance by your Certified Lexus Technicians will help keep your Lexus performing smoothly and safely.